Every Sunday we gather from all walks of life and all parts of the city. We meet in a local high school and dress the same way we dress the rest of the week. In other words, we’re probably a lot like you. And we love seeing new faces! Gatherings are about two hours. Every week we retell the story of Jesus to recenter our lives on what matters most. This includes worshiping God through song, hearing Scripture preached, and responding in prayer, communion, and more song. Coffee or tea is available in the courtyard, and friendly volunteers are available to help you find your way around and assist with any questions you may have. Hope to see you this week! Sunday gatherings are one of our essential rhythms, but we don’t stop there: we live a full life as a church every day of the week. 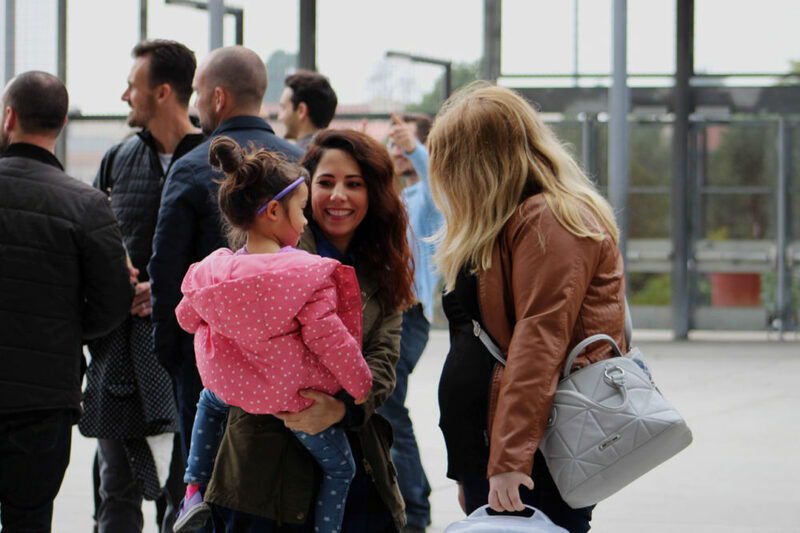 If you’re looking to learn more about our church and start getting involved in our community, it can be hard to know where to begin. So we have created a simple, one time place for you to start: RLA Involve! It takes place every month, and we invite you to join us there any time. 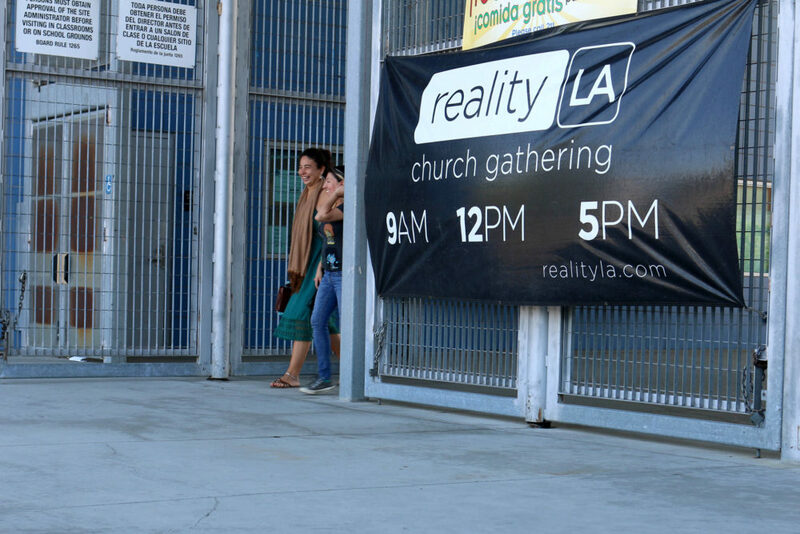 We offer several options for getting to Reality LA’s Sunday gatherings at Helen Bernstein High School. We ask that you please use public transit or park in one of the lots rather than parking on neighborhood streets. We’re guests in this area and don’t want be a burden to local residents. Seating is in the front right of the auditorium. See our volunteers with any additional questions. All our communion is gluten-free. We also take precautions in RLA Kids for children with food allergies; ask a kids volunteer to learn more. Kids are welcome in our gatherings, but we also have a variety of age-appropriate opportunities for them to engage the gospel in community. Our Moms Room is near the main auditorium and available during all three gatherings. Just ask any of our volunteers to point you in the right direction. In the room, you’ll find a live video feed of the service, cozy rocking chairs, and a changing table for your little one. RLA Kids seeks to partner with parents in making disciples of Jesus who love God, one another, and our city. Our volunteers work hard to create a safe, fun, and inviting space for kids to hear the good news of Jesus. RLA Kids is available for children up to 4th grade; when you arrive, you can check your child(ren) in at the RLA Kids welcome tent in the courtyard. RLA Preteen seeks to help 5th and 6th grade students transition from RLA Kids to RLA Youth, building them into a community centered around Jesus. They join the congregation for the first set of musical worship in our main gatherings, spend time connecting with one another and interacting with a teaching from Scripture, then return to the main gathering for the second set of worship. 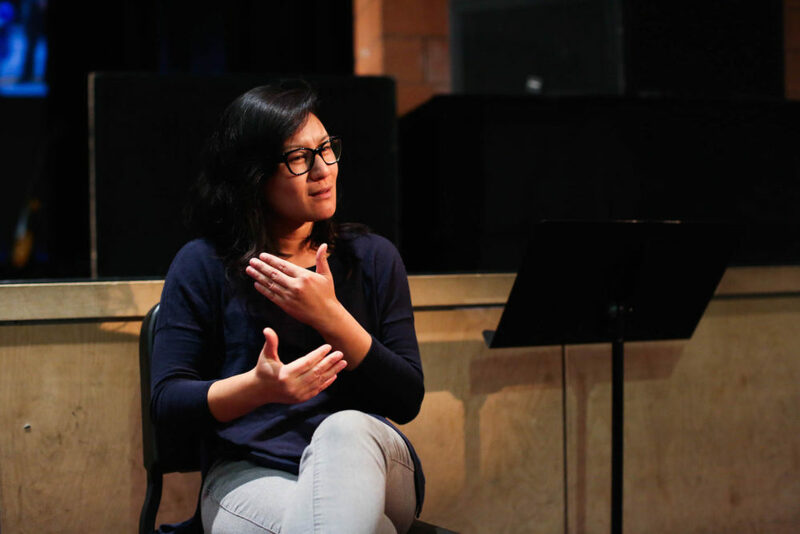 RLA Youth seeks to connect students with God, with one another, with the broader church body, and with their friends outside the church. Students join the adults in the main service and meet from 11AM to 12PM for a time of fellowship and discussion.